Over the past several years, The Freshwater Trust has come to understand many of the ways watersheds are affected by human action. We can now quantify how much pollution is accumulating in a waterway from a nearby farm and how much solar radiation is heating up a river due to the removal of streamside trees. More importantly, we can calculate what restoration and conservation actions to take and where. Tackling the vastness and severity of our freshwater problems requires unveiling specific ailments and acting upon those with precision and strategy. But there’s more to learn. We must improve our understanding of how on-farm conservation actions can reduce nitrogen runoff and how decreasing water use can improve water quality and downstream habitat. 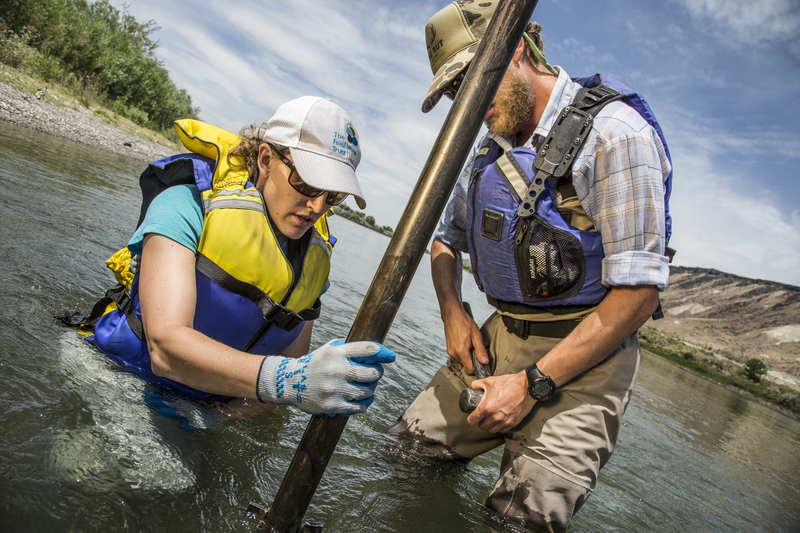 The “to do” list for our science team is long and answering research questions like these and others is critical to us building tools and providing valuable analysis for managing and restoring freshwater resources. And the learning won’t stop at “aha” moments. What we discover will ultimately be integrated into our StreamBank® toolkit and become actionable insight applied to improve real watersheds in need. With your help, we will integrate these functions into a singular platform and make it publicly available so that local restoration groups can better understand the specific needs of their home waters. Prioritize: Based on the most pressing issues we see in the places we work, we will identify key questions that need answering. Partner & Study: Take on these big questions hand in hand with universities, natural resource agencies and working professionals. We will adapt and build upon old tools, develop and innovate new tools and methods, and test it all on the ground. Integrate: Once we have a tested and proven methodology, we integrate it into the StreamBank system, to improve our capacity to model watershed conditions, map out conservation actions, and improve resource management. Together, we can raise $1 million to achieve this initiative. 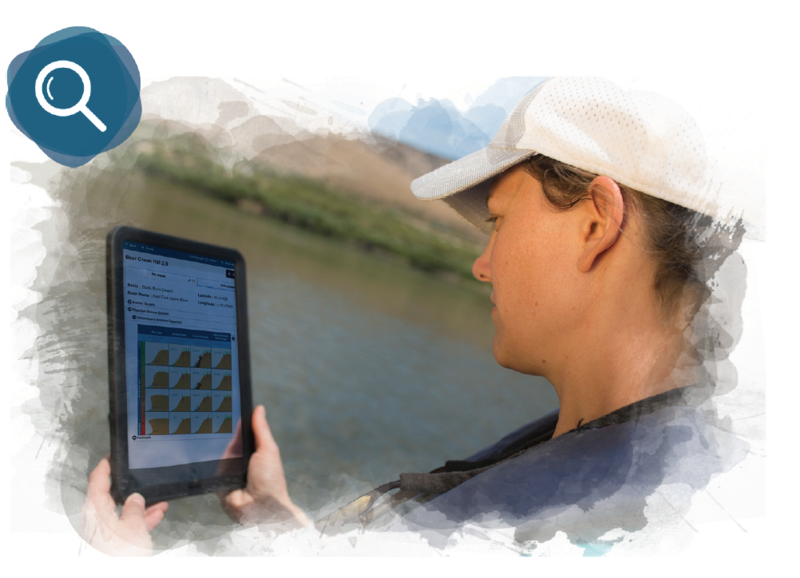 Staff using the StreamBank® Monitoring App to collect and upload data for collaboration with the restoration community.